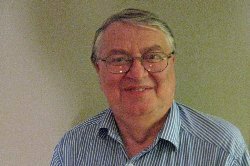 Peter passed away at 9:15 pm MST on Thursday evening in hospital at Cranbrook, alone. He had broken his leg and was suffering respiratory problems. The hospital said Peter deliberately refused any treatment and the recommended surgery and procedures that would have saved his life. Because he had not given the hospital any family contacts when he was admitted, as soon as Peter died his case was passed on to the coroner’s office. Only indirectly did his wife and daughter (Silken) learn of his death. Many of my Canadian readers will recall the incredible stink that Stockhausen made during is final mandate as head of the CFC (Canadian Chess Federation) and later in 2009 when he disappeared from the face of the earth and abandoned his wife and daughter to their own resources, having first emptied their joint savings and max-ed their credit cards. They were soon evicted from their home. 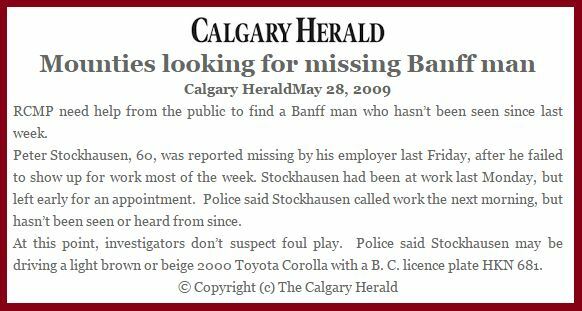 Since that time Stockhausen’s location was kept from his wife and daughter as he continued his staged disappearance (in Canada it is not illegal to disappear) His exact whereabouts were known only to a few members of the BC chess community, each sworn to secrecy. This week’s CHESS IN CANADA!